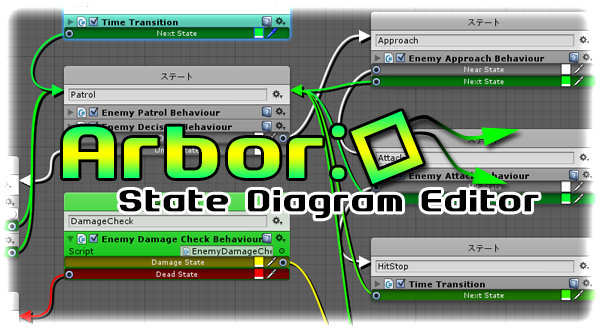 Arbor is a simple and powerful StateMachine and BehaviourTree graph editor. Designers can make intuitive game with a combination of behavior. In addition, programmers can add it by coding the free state of behavior. Visual scripting editor and basic possible FSM and BT to progression management of scene from AI. You can intuitively because it is common operations sense of Unity. Behavior programmer because MonoBehaviour has become a base you are new to less behavior added to remember. This site is participating in the Unity Affiliate Program.